Classic 0.07ct white diamond ring in a contemporary matte finish. Beautiful worn alone or stacked. Available options: glossy yellow gold and white gold. 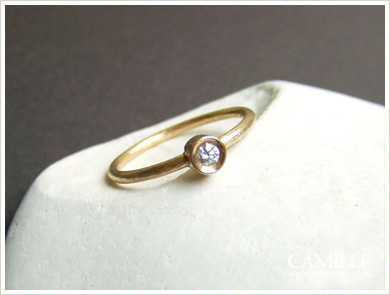 Champagne diamond ($475). Length: Please specify your ring size under "special instructions" when you check out.